Stand a chance to win 2 of 10 tickets for the Museum and Monument! 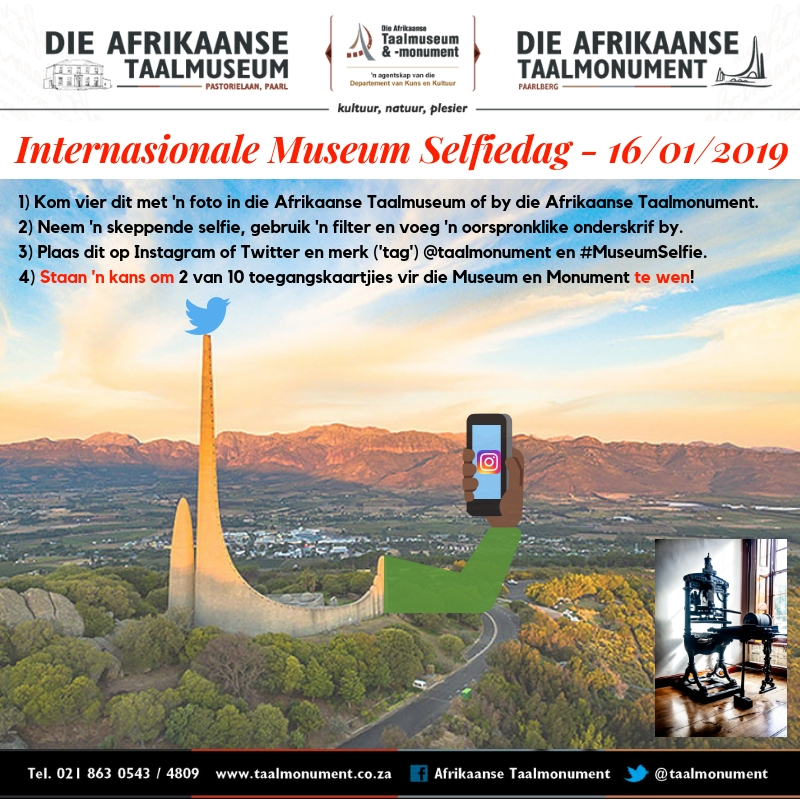 Immortalise yourself and friends/family at the Taalmuseum or Taalmonument up until International Museum Selfie Day on Wednesday, 16 January 2019. Take a creative selfie, use a filter and add an original caption. Post it on Instagram or Twitter and tag @taalmonument and #MuseumSelfie on 16 January. We look forward to seeing the photos and deciding on the winners.